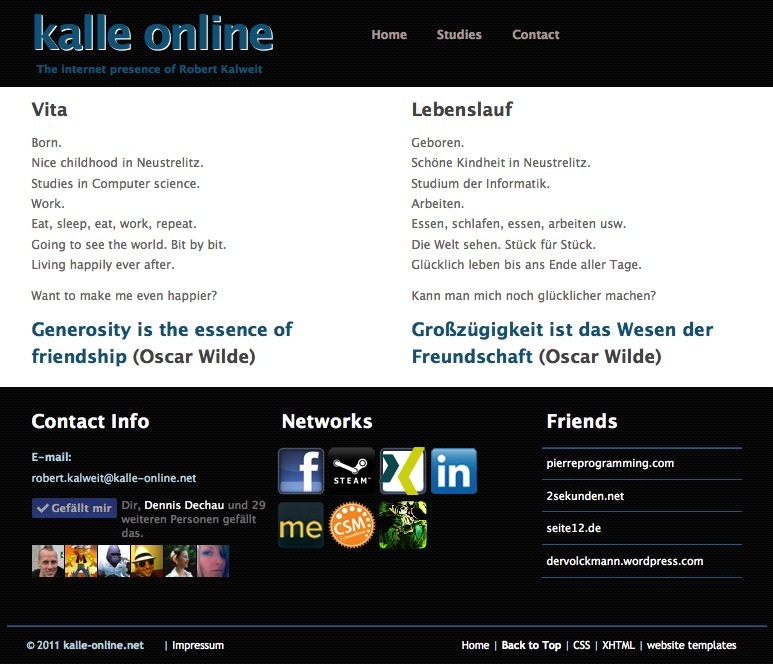 Back in 2009 I did a homepage using Google App Engine (GAE). It’s still available at kalle-online-net-hrd.appspot.com so check it out. Google App Engine comes with a handy installation process and easy deployment process right from the start. There’s an eclipse plugin that gets you started and enables you (and all team members with access to the application) to deploy your changes right from the IDE. Furthermore your application runs on Google servers which you can also use for free (up to a certain quota of course).